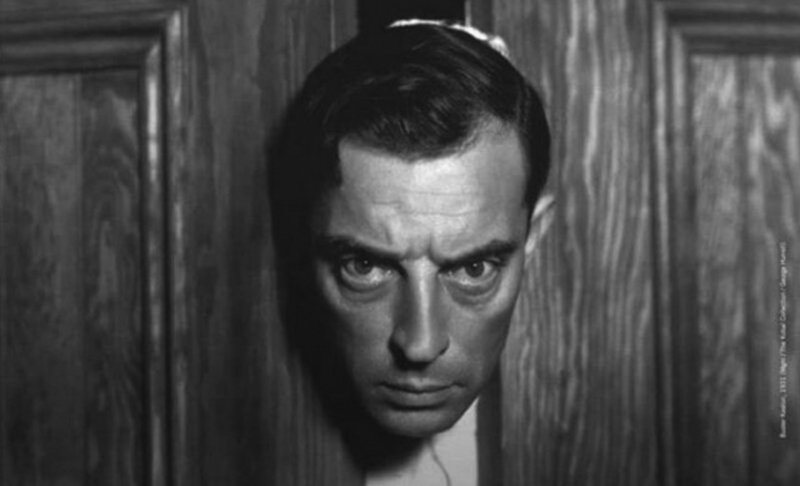 Buster Keaton, 1931. Detail of the Festival’s poster. Source: ilcinemaritrovato.it. If you’re into silent films, or you have ever lived in Bologna, you’ve probably heard of Il Cinema Ritrovato – the festival devoted to film archives and their content: great classics and forgotten gems, obscure fragments and lots of surprises. The major restoration work from labs all over the world is presented during an eight-day program starting the last Saturday of June, with more than four hundred films on six screens. The most glamorous among them is certainly the screen in Piazza Maggiore (the main city square), where projection takes place at night. That’s where this year’s festival started for me, the very day I landed, with one of the most enchanting love stories ever: Jacques Becker’s Casque d’or (1952). The grace and perfection of this film had made a lasting impression on me when I first watched it as a teenager on Italian television, dubbed and faded, so I couldn’t miss the chance to see it there, in a splendid copy and in the best viewing conditions (the magic happened again the following night with Chaplin’s Modern Times, with live music of the orchestra conducted by Timothy Brock). Jacques Becker’s work was further explored in the retrospective The very idea of freedom, an apt title for the director of Le Trou (1960), the most relentless and uncompromising prison escape story I’ve ever seen. What I still hadn’t watched were his lesser-known titles like the countryside murder drama Goupi Mains Rouges (1943), which is also a very funny study of characters, or Falbalas (1945), a tale of love, jealousy and betrayal in the world of Parisian fashion design that I strongly recommend if you like eccentric hats and amour fou. I admit I didn’t appreciate as much his two films set among a younger generation, Rendez-vous de Jouillet (1949) and Edouard et Caroline (1951) – mostly because in them young men are idealist and young women jump around, but I am aware that my opinion belongs in the minority. And then, of course, Touchez pas le Grisbi (1954) – indeed one of the best noir films of all time: Jean Gabin in a striped pajamas brushing his teeth is one of the images from this year’s festival that will remain engraved in my memory. 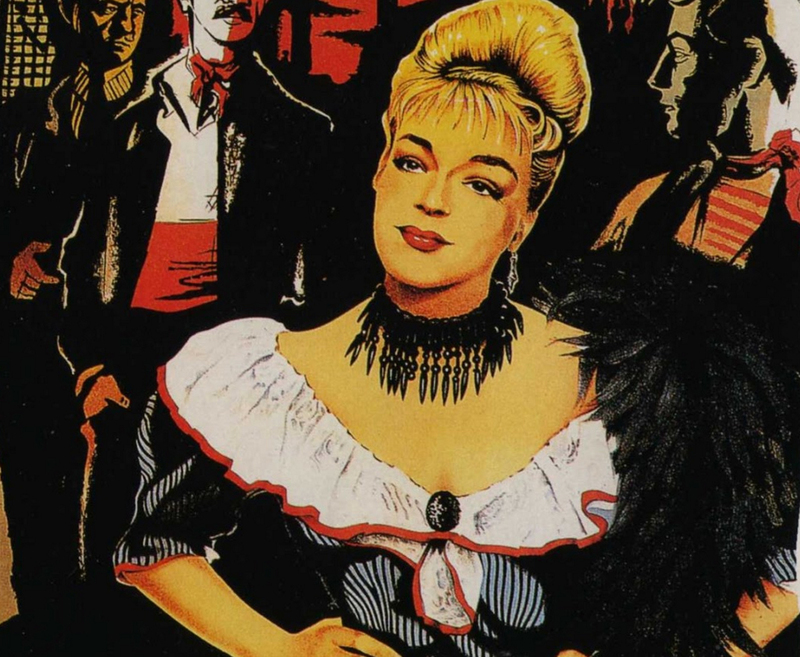 Simone Signoret portrayed on the poster for Jacques Becker’s Casque d’Or. Source: Wikipedia. The second retrospective I tried – and almost succeeded – to watch in its entirety was devoted to the production of Universal Pictures in the years between 1928 and 1936, when the Studio was headed by Carl Laemmle Jr, the son of the founder. The choice to avoid the most famous titles led to many discoveries, among them two films by Frankenstein’s director James Whale: A Kiss Before the Mirror (1933), the obsessive story of a crime of passion (or maybe two), and Remember Last Night? (1935), a high-society comedy about a group of affluent people who party so hard they forget about a murder. Social realism was present with two films by Edward L. Cahn, a director who later worked in B-movies (his 1958 It! The Terror from Beyond Space is a notable antecedent of Alien): Afraid to Talk (1932), about corruption and gangsterism, and Laughter in Hell (1933), odyssey of a man sentenced to the chain gang, where he witnesses brutalities including a racial lynching. More interesting as historical documents than entertaining per se were the two musicals Broadway (1929) and King of Jazz (1930). The former is an early talkie that includes a closing scene in two-strip Technicolor. Despite these attractions and the presence of Evelyn Brent, it suffers from the typical issues of the transition between silent and sound; the director Pal Fejos had the right intuition when he built an enormous crane to get travelling shots of the theatre stage, yet the film feels extremely slow and static. The same goes for King of Jazz – the enormous production cost and lost lots of money, and it’s not hard to see why: it’s a long, plotless revue of musical numbers – most of which fail in their attempt at being spectacular – and unfunny comedy sketches. The interest lies mostly in the two-strip Technicolor process, magnificently restored: recommended if you really like red and green in all their possible shades. And then Paul Leni’s last film, The Last Warning (1929) – a silent mix of Rupert Julian’s The Phantom of the Opera (1925) and his own The Cat and the Canary (1927) – as well as one of William Wyler’s first all talking films, A House Divided (1931), where a young woman who put an ad in a marriage service arrives in a small village on the sea, only to discover she is going to marry a violent, drunken, insane Walter Huston. His performance in this film – when he crawls on the floor, wounded but still driven to kill his son no matter what – is worthy of Lon Chaney. For me, though, the highlight of this year’s program were two melodramas by the underrated John M. Stahl, a director mostly known for the splendid Leave Her to Heaven (1945) with Gene Tierney, whose films of the 30s are notable for having been amply remade, sometimes into masterpieces as it happened with Imitation of Life and Magnificent Obsession in the hands of Douglas Sirk. Here we watched Only Yesterday (1933), a film that claims to be based on the non-fiction book of the same name about America in the 20s, but is actually taken from Stefan Zweig’s short story Letter from an Unknown Woman – just like Max Ophüls’ 1948 more famous film. In Stahl’s version the letter is received not on the eve of a duel, but on the night after the 1929 stock market crash, and, most notably, the reaction to its revelations is radically different. Far from Ophüls’ romantic idealization, in this case the protagonist’s love for a man who’s unaware of her very existence, let alone of having had a child with her, is rooted in real life and free of self-sacrifice connotations. Especially noteworthy was also Back Street (1932), the story of a woman who misses the chance of marrying the man she loves and finds herself resigned to the role of mistress, kept woman without a life of her own, whose days pass by waiting for him while her presence in his life can never be acknowledged. An example of the brief artistic freedom of the Pre-Code era, this story would become unthinkable on the screen just one year later, with the enforcement of the Hays Code of self-censorship. Irene Dunne is just perfect in a part that would have been easy to overplay, and the film avoids the trap of easy sentimentality, becoming a reflection on loneliness, human desires and the artificiality of social conventions. 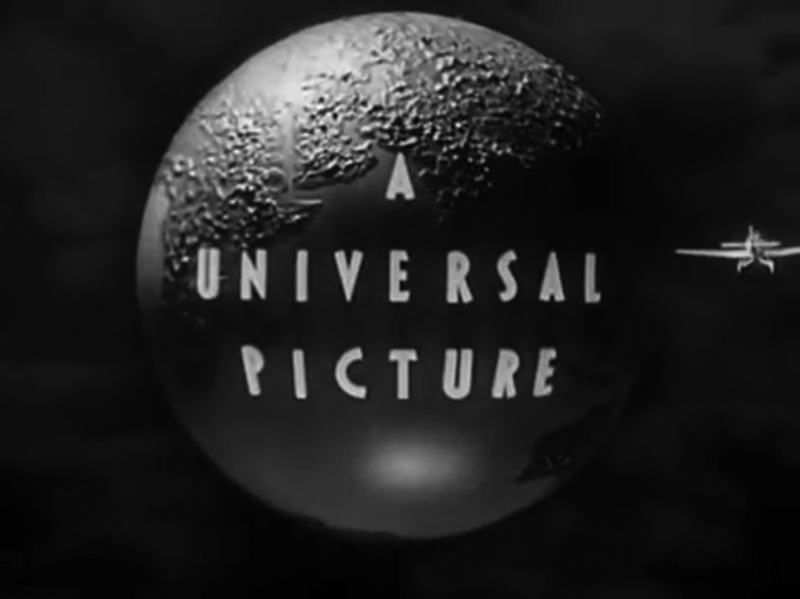 The Universal Picture logo, 1931. Source: Youtube. The next Japanese film in the program disappointed me, so I deserted it and moved on to the Cinema Lumière, where one of the two screens is devoted exclusively to silent movie (the other to early sound ones). There I saw A Woman of the World (1925), a lovely comedy with Pola Negri in an unusual funny part that verges on self-parody as she plays a European countess visiting her poor relatives in a village in the Midwest – she wears a skull tattoo and gets to whip the man she loves, which is plenty of reasons to watch it already. The Half-Breed (1916), directed by Allan Dwan and produced by D.W. Griffith, is starring Douglas Fairbanks in the title role, the son of a white man and a native American woman: a story of hypocrisy and racial prejudice with beautiful images of the wilderness where the protagonist lives. The sequence of the forest fire is impressive, especially if you consider that it was shot at night – quite an accomplishment in the era of ortochromatic film. Among the silents, my discovery of the year was the directorial debut of Anthony Asquith Shooting Stars (1928), in a fantastic version recently restored by the BFI. This little-known gem of British cinema is an acute portrayal of the movie production world, that achieves a delightful balance between comedy and tragedy as the events take place in the not-so-gilded atmosphere ‘behind the scenes’. Brilliant visual effects play with the revelation of the artificiality of the sets, ending with the bitter realization of the transitory nature of fame itself – the title turns out to work on many different levels in one of the best meta-narrative reflections to appear on the screen of the late Twenties. Still from Anthony Asquith’s Shooting Stars. Source: Youtube. Another, completely different but just as entertaining outlook on the cinema seen from the inside scheduled in the festival program was Dora Nelson (1939) by Mario Soldati, the only film I’ve managed to see in the retrospective devoted to this director, whose work is often classified as literary or calligraphic. It is a production of the so-called ‘telefoni bianchi’ (white telephones) genre, the high-society comedies of Italian fascist cinema, where Assia Noris plays a double role as a capricious movie star and her humble lookalike: it’s interesting to note how the same visual device, the camera closing in on the star’s face, is used here just like in Shooting Stars, to signify and reveal the transition between real life and filmic fiction. Noticing this kind of connections between two films that it would rarely happen to watch in a row is one of the insights only a festival as Il Cinema Ritrovato allows to experience, just like the chance to see films one has always heard mention but could never find – a discovery for me in this sense was the masterpiece of Cuban cinema Memories of the Underdevelopment (1968), a work that deserves every bit of its fame and was here presented in the excellent restoration promoted by Martin Scorsese and Film Foundation. Vera Karalli in Evgenij Bauer’s The Dying Swan (1917). Source: Youtube. … and this was only a part of what I’ve seen. I should have mentioned at least the projections with the carbon lamp, or the recreation of the first screening by the Lumière brothers, and it would still be nothing but a small fraction of what the festival offered. I’ve missed the whole program about Argentinian cinema, and the 50s Russians as well. I haven’t seen the restoration of Flesh and the Devil with Greta Garbo, Fritz Lang’s Der Müde Tod, or any of the scheduled film by Evgenij Bauer, whom I love. I missed most of the ever-worthy section A 100 Years Ago curated by Mariann Lewinsky – I would have been especially interested in a World War I propaganda film titled The Discovery of Germany by the Martians (1916). This section is regularly part of the program and has marked my Festivals since the very first time I’ve been there in 2003, when they were screening Le Voyage Dans La Lune (1902) and The Great Train Robbery (1903). Thirteen years later, with Griffith’s Intolerance (1916), film became a fully grown art form, and I have seen its history unfold before my eyes, in thirteen years of festival, synchronized with my own lifetime. Next year I’ll do it again.